BOISE - Downtown Boise's hotel boom isn't over. With three in progress, one more is on the way. BVGC Parcel B LLC plans to build a five-story hotel on a corner of Parcel B initially designated for "future expansion." The new hotel would include 132 rooms, plus a 70 seat restaurant on site. The hotel will have to be approved separately from the rest of the Parcel B plan - which includes a six story office building and 611-space parking garage. The garage will get underway first, followed by the hotel project - and then the office building. A small retail building at the corner of 11th and Myrtle is also planned to round out the site. Parcel B is a so-called "super block" - a two-block area bounded by Front, Myrtle, 13th and 11th streets. 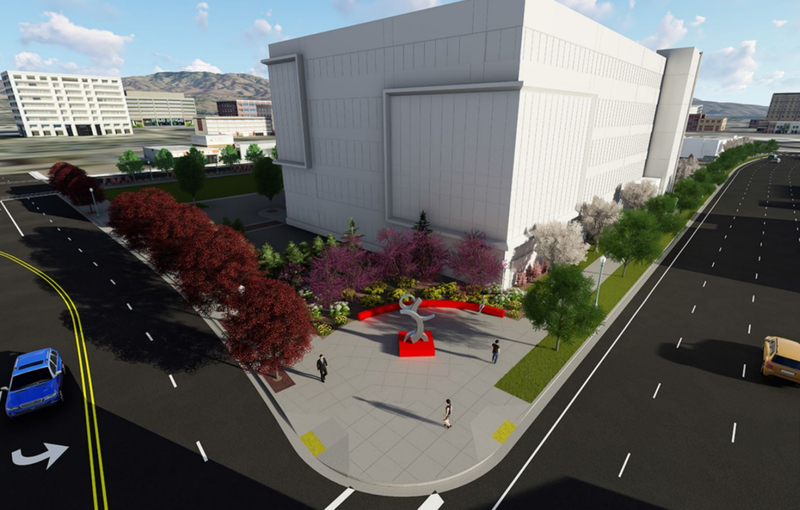 Numerous plans have been announced over the years - when the weedy patch was owned by the Greater Boise Auditorium District, various proposals for hotel/convention center combos were announced and abandoned. In 2015, Gardner Co. acquired the property from GBAD after a creative project shoe-horned a convention center expansion on land Gardner owned between the US Bank Building and Grove Hotel, closer to the existing convention center - alleviating the need to use Parcel B for meeting space. GBAD initially required a hotel be built on Parcel B - and Gardner first announced plans for a two-hotel complex on the site (after an earlier idea for a soccer stadium was floated, then abandoned). Gardner dropped the hotel plan, and was able to lift the hotel restriction after three other hotel projects got off the ground in downtown - Inn at 500 Capitol, Residence Inn by Marriott and Hyatt Place. 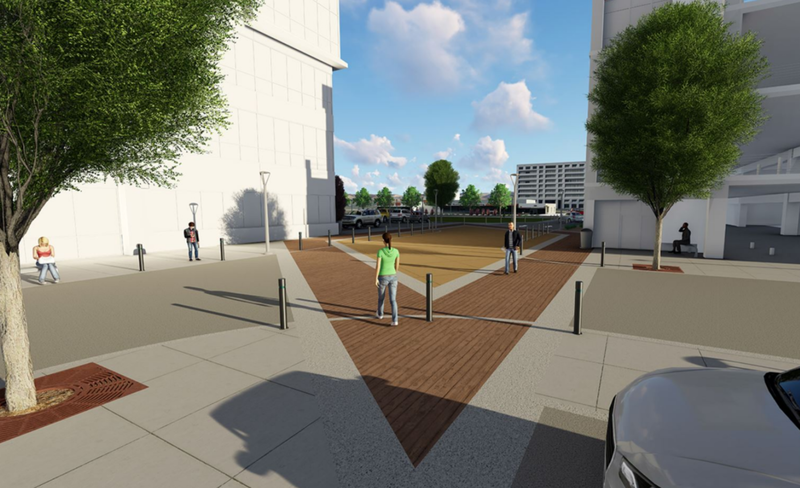 The company then announced the first part of the plan - for the parking garage, retail space and parking garage with a mysterious future parcel. The mystery is solved - with this hotel project, a partnership between Gardner Co. and B&T Hospitality Management of Idaho Falls. B&T operates seven hotel properties - with brands like Candlewood Suites, Hilton Garden Inn, Hyatt Place and and Courtyard by Marriott, located in Tennessee, Texas, Arkansas, Utah, Arizona and Idaho Falls. Sign up to get BoiseDev updates by email.